The Financial Analyst career field is one of the fastest-growing at the present moment. If you’re interested in joining up and making use of your excellent finance skills, you’re going to need a great resume to help you stand out from other applicants. Firstly, what does a Financial Analyst do? Companies that are looking to hire a Financial Analyst usually require their candidate to have at least a Bachelor’s degree in a related field, and may expect a Master’s as well. If you’re fresh out of college or changing careers, you may want to go out of your way to get extra certifications to prove your capabilities. 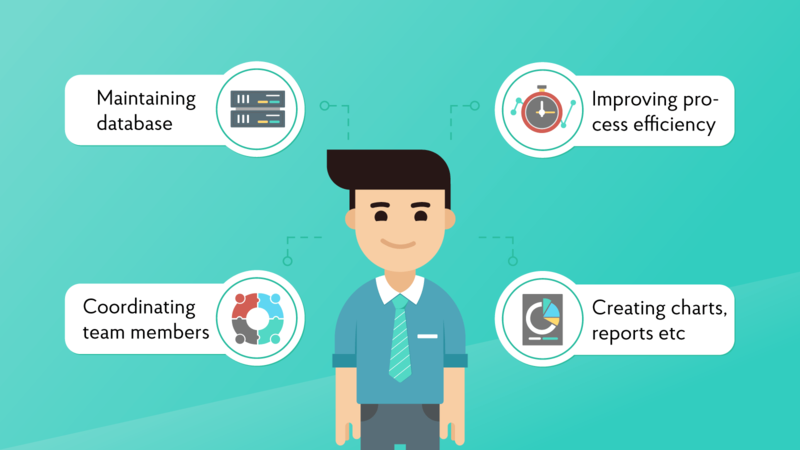 A good certification to boost your application is Chartered Financial Analyst (CFA) credentials, but there are a variety of certifications and many of them can be completed entirely online. You probably want to make sure that you add a Technical Skills section in addition to a general one, since this is a technology- and mathematics-heavy career. It used to be standard practice to put your full address on your resume, but now that snail mail has fallen out of fashion, it’s only necessary to put your phone number, email address, and city. If you have a professional online presence, make sure to include it! A LinkedIn profile, a career-centered blog, or a digital portfolio would all be great inclusions for a Financial Analyst resume. Resume summaries are one of the most important parts of a modern resume. Instead of a resume objective, which is old-fashioned and ineffective, a resume summary points out your best qualities while ensuring that your potential employer knows exactly why you’re the best fit for the job. It should only be a couple of sentences long. Don’t use the first person—don’t use pronouns at all! That’s right, sentence fragments are okay when you’re writing a resume summary! Dedicated and detail-oriented Financial Analyst committed to the teamwork that leads to a team’s success. Focused on continual professional and personal growth, including the improvement of business and economic knowledge. Dedicated and detail-oriented Financial Analyst seeking a position with Amazon to gain an opportunity to expand professional skill set and provide value to the company. Here’s something that a lot of resume writers get wrong: when you’re describing what you did at a previous job, you need to focus less on the day-to-day duties and more on what you accomplished. You need to prove that you added value to the company as a whole and that you can do the same for your potential employer. Hone in on your achievements and your resume will shine. Implemented and streamlined cutting-edge data management procedures, improving the operational efficiency of the company by 5%. Managed 5 different projects with a budget over 00.000. Reduced labor and material costs by 7%. 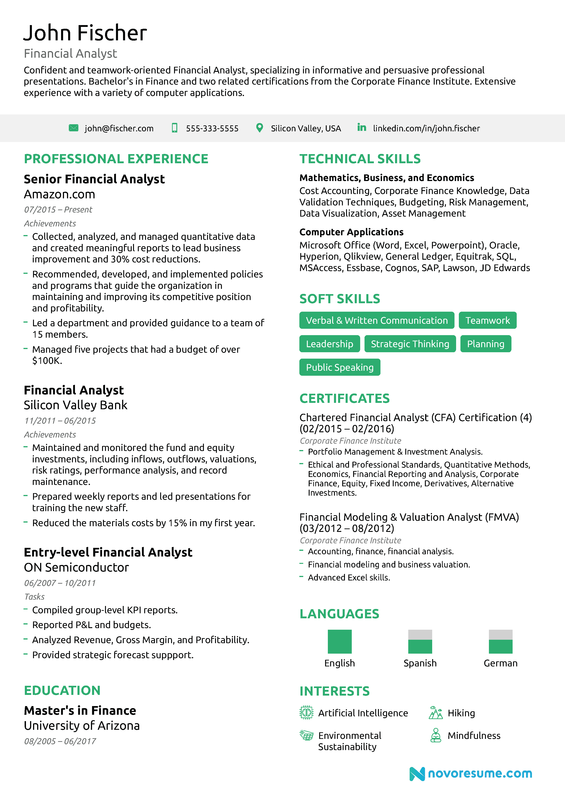 How do you feel about creating your Financial Analyst resume? Let us know if you have any other questions after checking the professional example and guide.